​Time and again, I get a surprised response to the dry knowledge that Yes, I am a Travel Agent. 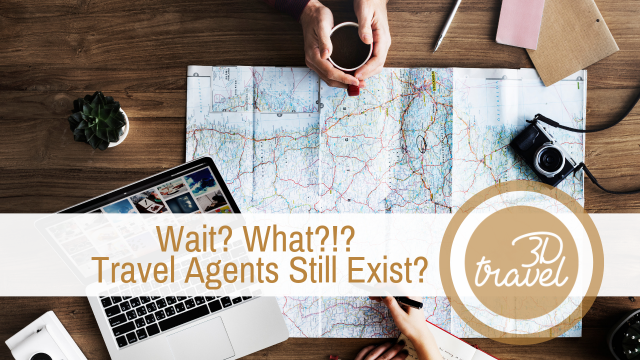 So many misconceptions spring to mind when people hear "travel agent" and they're either based on the old model of a walk-in agency with desks and brochures or the horrible rumor that the internet is actually a good place to book travel by yourself. Thankfully I'm here to dispell these rumors and you are here reading them, before you make a HUGE mistake. The majority of the time, using a 3D Travel Agent to book your trip will cost you nothing. Vendors pay us after you travel. AFTER you travel, we get paid. I put that in twice to help you understand how it works in two ways: 1) Your 3D Agent isn't going to make a dime, until your fun is over, and 2) If you use them to get pricing and book yourself or even if you have to cancel for any reason, your agent isn't getting paid. If it's beyond your control, you can still show them love by referring to your friends and booking future travel through them. Now, we do have some exceptions - Sometimes we have clients who have booked with us for so long, even if they're taking part in a convention or receiving a trip as a gift or something else happens to take their travel choices out of their control, they still choose to pay a fee for their agent's time. And who can blame them? Once you've received care at the level we give, then going without is just HARD. But it's rare & I include it only to be completely transparent. It just stands to reason - if we're getting paid a percentage of what you book that we're going to want to talk you into a more expensive vacation. Right? Being a travel professional is all about delayed gratification. We often celebrate booking trips that will not even take place for years. We work daily on things without getting paid (yet, hopefully!) and we plan to be in relationship with you as long as possible. We book children when they're kids, then they grow up and we book them on their honeymoons, babymoons and beyond! Yes, there are agencies out there built on a quick buck. I'm sure there are, because people are greedy and fearful. 3D Travel is not. And of the many agencies, agency owners and agents out there, I can tell you very few advocate for themselves. A true travel professional is advocating to get you the best value for your family. What we DO Want is to find the trip that fits your family. We want you to feel GREAT about your trip. We want you to relax in a way you never could, if you questioned yourself as you traveled. "Did I get the best deal?" "Did I plan this well?" You shouldn't have to worry about that. You never have to worry about that, again, now that you know how it works. IN FACT, We work even harder to earn less money, by watching for any codes or offers we can apply to your reservation! While you're busy living your life, our team is on the watch for any offer or code, discount or deal we can use to make your trip price go down. Doesn't this mean our commission goes down, too? YES! It absolutely does! But we do it. We love it. We care about YOU, our client. Bait and Switch. Rebating. Coupons. Everyone wants a piece of the travel pie. But how can you tell if the deals are real? Honestly, it's hard. We've spent nearly 15 years vetting vendors, establishing relationships and developing training for our team. We do it all for the purpose of helping our clients - YOU - find the best deals online. Often, what people find online is too good to be true. Even large online travel agencies we've come to know and trust simply because we've heard their name for so long, will wait until the very end of a process to show a traveler taxes and fees. They're counting on you to be so invested in their process, that you just finish it and give up on a better deal, even though what brought you to them really amounts to false advertising. If a vendor is out there unloading inventory for an off season, we can sometimes price match with a better supplier and remember, we don't cost more. It never hurts to attempt a price match. And, If you book direct, you leave it on the table. It's truly a Win! Win to use a 3D Agent & potentially a very big LOSE if you don't. PLUS - you have an expert on call! 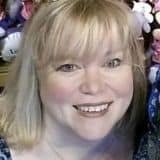 We have EXPERTS in unique and diverse areas, agents who specialize in Disney, Universal Orlando, Central Florida, Southern California, Alaska, Mexico, The Caribbean, the Bahamas, Cruises, All Inclusives, Overseas Travel......... I could keep going, but I'm sure you get the idea. Becomeing an expert at 3D Travel is a BIG deal, with a ton of work and immersive experiences before a 3D Team member can call themselves a true niche professional. A big part of this is learning how to curate and create trips that are the best value for our clients. You could eventually replicate this level of expertise, but you'd have to do it like it was your JOB, and even then you still wouldn't have the relationships and connections to help you as you traveled, which brings me to the next misconception. The internet makes research easy & You won't need someone during your trip. Just because information is easy to obtain, doesn't make it true. Often, the opposite is true. Agencies do pop up overnight. It happens even more often than new restaurants pop up everywhere, only to shut down quickly. What I'm about to say doesn't hold true for young agencies. Established agencies have relationships with vendors. Good, established agencies provide superior training to their agents. Excellent established agencies also maintain the highest level of integrity. I'm proud to say, 3D Travel is an excellent agency. We DO have the inside track, in multiple ways. We have contacts we can use to help validate information, find the best value for a trip and if something goes wrong, to help it be resolved as quickly and painlessly as possible. Do you really want to be on a trip and have no one to advocate for you, while you're dealing with an emergency? You don't have to be! You can have an entire team on your side, ready to help. We're a team that isn't influenced by paid reviews, doesn't book locations unless we get positive feedback on the quality of the care our clients receive and we do this every day. Stop and think about that for a minute. Our team does this EVERY SINGLE DAY! Just by the sheer volume of what we book, how often we train and how quickly we take care of our clients, we've become experts. And our main goal is to help prevent anything going wrong. We use our expertise daily to warn people away from locations, paths, tours and routes that aren't what they need or are looking for. We guide people away from crowds, weather and waiting in line, whenever possible. We are their advocate. We are YOUR advocate. We are in it for the deals on our personal travel. ​Well, this one is partly true. If we didn't love travel, we wouldn't be doing this. We do train and immerse ourselves in a destination or cruise, either at the behest of the vendor or just because we know we need to do it for our own client's care. We sometimes get discounts to do this training and immersion, but those perks are not huge and they're only for active and successful sellers of travel. No ethical agency issues a travel agent credentials until they've earned them. And even when we've earned discounts, we are still spending a large chunk of the cash we've earned to teach ourselves to be better for future clients. The reality is, we can't be everywhere before we book it, but we are part of a tremendous network of fellow travel professionals and we're all a pretty caring group of people. If we haven't been there and done that, we chat with people who have. We read the travel news, visit every destination and sail every cruise line we can, and in the end it is our clients who benefit in countless ways. I'd love to hear more concerns, question and misconceptions you've thought, heard or dealt with. Drop me a line at & let me know - Did YOU know that Travel Agents Still Exist? The Top FIVE Reasons you should be part of the 3D Travel Team!